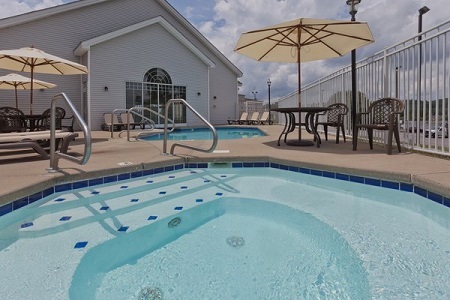 Situated off I-64 in southern West Virginia, the Country Inn & Suites® by Radisson, Beckley, WV beckons visitors to explore the natural beauty of Appalachia. Stroll hand-in-hand with a loved one as you make your way to Tamarack, where you’ll find an array of artisanal crafts including handblown glass, ornate quilts and dazzling jewelry, all less than a mile from the hotel. You can learn all about the area’s mining history at the nearby Exhibition Coal Mine or snap some amazing panoramas at New River Gorge National River. If you’re looking for heart-pounding entertainment, plan a day of ATV riding, white water rafting or zip-lining at nearby spots like Burning Rock and Class VI. 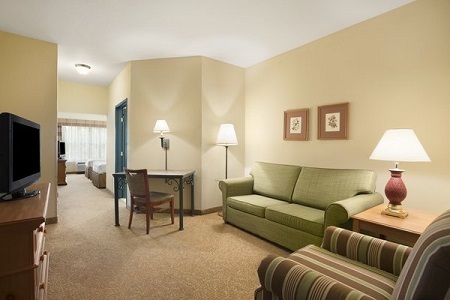 If you’re traveling with family, enjoy additional privacy by booking our One-bedroom Suite, which offers a private bedroom plus a separate living area with a comfortable sleeper sofa. 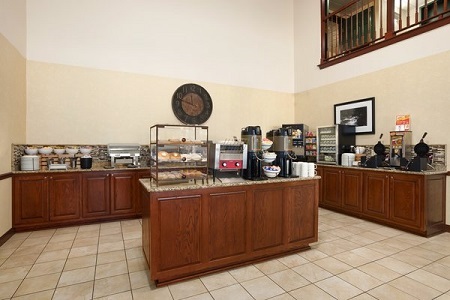 Wake up to the smell of sausage and eggs wafting from the dining room at our complimentary, hot breakfast. Pile your plate with a hearty helping of make-your-own waffles and bacon or opt for lighter choices like a bowl of yogurt and fresh fruit. For a hearty lunch or dinner, indulge in delicious cuisine at nearby restaurants like The Char, where you can have your choice of fresh seafood entrees or mouthwatering steak. Tamarack – Local artisans fabricate textiles, pottery and jewelry before your eyes less than a mile from the hotel at this unique shopping center. After perusing the vendors, be sure to catch live craft demonstrations, sample fine cuisine and explore the outdoor sculpture garden. Exhibition Coal Mine – Learn all about the natural resource and process that made West Virginia famous with hands-on exhibits and an underground excursion through a real coal mine at this fascinating attraction. The mines are located in New River Park, about three miles away. Daniel Vineyards – Add a little something special to your trip by touring this local vineyard 12 minutes from the hotel. Don’t miss sampling the blackberry or port wine vintages, and afterward, play a round of disc golf on the scenic course. 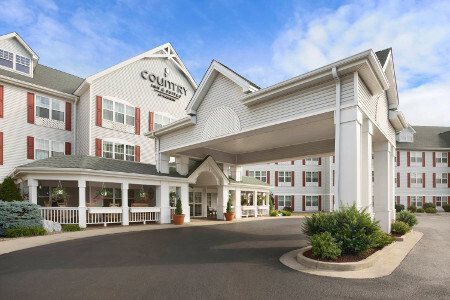 The Country Inn & Suites offers 625 square feet of on-site meeting space, ideal for hosting warm, friendly functions. With a dance floor, audiovisual equipment rentals, catering and enough room for 170 guests, you can make the most of your special wedding day in beautiful Beckley. 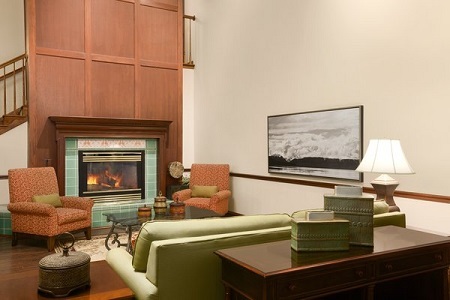 If you need more room, the Mountaineer Conference Center, located next door to the hotel, boasts more than 3,000 square feet and space for up to 325 guests.